Are you over-stimulated and stuffed up with a heavy stream of never-ending data coming at you from all directions? I know I am. Did you know that every day 100 billion e-mails, 10 billion texts, and 500 million tweets fly through cyberspace? According to the former CEO of Google, Eric Schmidt, “Between the dawn of civilization through 2003, about five exabytes of information was created. Now that much information is created every two days.” No wonder so many people are in overwhelm and losing connection to themselves and what really matters. And guess what? We don’t necessarily have any more knowledge nor time to spare in spite of all the time-saving devices we have become addicted to. There is something amiss here, it is conscious leadership. This modern challenge is something that employees and leadership in all organizations are facing. On top of the information overflow related to our work, there are endless other challenges that can add to the diminishing of our well-being. Think of any type of conflict in your family, relationships, business dealings, or the workplace. Then there are health, financial, communication, career, and social issues to deal with, to name a few. And let’s top that with the multitudes of interesting and desirable activities available to us to engage in with colleagues, family, and friends that also compete for our time and energy. We have forgotten to take into account that our systems have not been prepared to process so much, so fast. We and our bodies do not function as efficiently under this new and unprecedented onslaught of technology and limitless activities. The constant stimulus activates our more unconscious, reactive limbic system rather than our self-aware prefrontal cortex. According to research, when we multitask — exactly opposite to its supposed point and purpose — we take much longer to get things done and we make more mistakes. We are more likely to be on autopilot while the healthy levels of our happy hormones go down and our stress levels go up. No wonder that the exclamation “I am in overwhelm!” can be heard all over the place. A collaborator of mine recently asked me “How do you stay so calm, Rúna? I want to be like you.” This was not the first time I heard the “I want to be like you” assertion. Through the years I have been told by clients, collaborators, and friends that the combination of the unstoppable, fiery passion I have for living my life from my higher purpose coupled with a grounded calm and stillness is what gives me my special energy. Some call it presence. But here is the question. Is this something that only Rúna can embody? Absolutely not. If I have an ounce of this quality, it is simply because I have worked at cultivating it for decades. I have been committed and dedicated to my practice of elevating my being-ness to balance off my doing-ness. The practice is an ongoing process — all masters will tell you that only practice will take you to mastery. It is all about the mileage. There are no shortcuts. Eastern philosophy also maintains that to exercise mastery, you have to be totally present. It doesn’t matter what the mastery is in… Presence is key. What I am seeking is to experience a relative balance — aliveness, joy, and well-being, through my SELF-LEADERSHIP while attending to my life’s challenges. The more I practice, the stronger my inner core becomes. 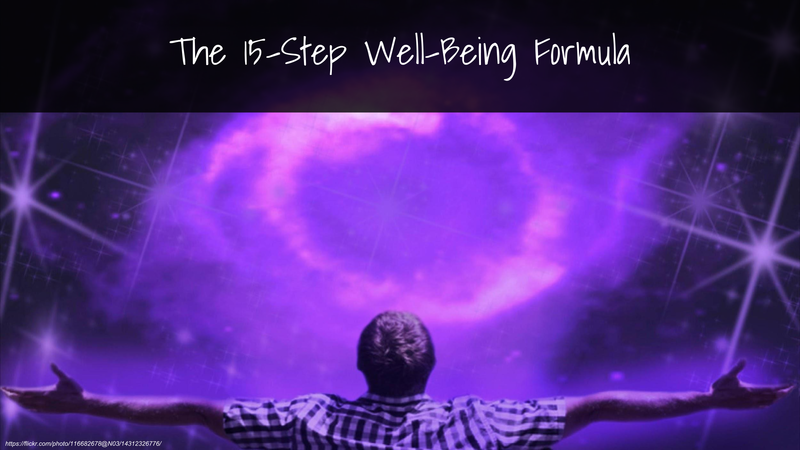 Amplifying our Well-being is an inside job, cultivated through our self-leadership. As synchronicity has it, I was on schedule to write this article about leadership and well-being for the e.MILE People Development Magazine while simultaneously working on designing a training module for an in-house leadership development program for a client addressing how to help their leaders face and move through the constant overwhelm to a more grounded, calmer, and more productive way of being. As this particular client is committed to supporting their leaders and employees to embody the principles of Conscious Leadership, I am excited to have the opportunity to share some of the processes we can use when cultivating being a conscious leader versus the reactionary, overwhelmed, and grumpy leader that too often is considered the norm in companies today; what we know now to be the unconscious leader. Diving into my own experience of dealing with the out-of-control feeling of having too much coming at me all at once and filling my plate, I will let you in on my secret process that I use successfully in my own leadership practice — the very same process I will take my client’s leadership team through. Make your life your practice! Wake Up to Where You Are – Is there an Ouch? Slow Down. Observe. Then Observe. And Observe. Take Charge. Maybe a Mindset Upgrade is Needed? Use Your Power of Choice: Suffering or Well-Being? Change Your Expectations. Then change Your Energy. And change Your Experience. Show Compassion and Kindness to Yourself in the Process, and Don’t Take Things Too Seriously. May Gandhi’s words shine a light on your path as they have mine and lead you to the well-being you dream of. Runa Bouius is an accomplished serial entrepreneur from Iceland and a Conscious Leadership catalyst. As a speaker, author, facilitator, and mentor to entrepreneurs, business leaders, and people of influence — she is on the vanguard of the new business paradigm thinking, the creation of better workplaces and growing the visionary, next-generation leaders. Runa sits on a number of advisory boards and is a contributor to a number of publishing platforms. In addition to Runa’s companies in Reykjavik, Iceland, she co-founded the Conscious Leader Network, the Conscious Capitalism LA Chapter, and the TOGETHER! Network. Runa -- a former CEO and trailblazing serial entrepreneur from Iceland -- is an international speaker, author, executive coach, and consultant to visionary leaders, entrepreneurs, and people of influence. As a global change agent and Conscious Leadership guide, she is on the vanguard of the new-business-paradigm thinking, the creation of better workplaces, and growing the bold and visionary leaders of the future. Runa is a co-founder of a number of social-impact platforms for Conscious Leaders in Los Angeles, including the Conscious Capitalism LA Chapter and the TOGETHER! Network for purpose-driven female entrepreneurs. She is a producer on The Social Movement, Season 1, (Docu-Series Global Event) on Amazon Prime and iTunes where CEOs, Founders, CMOs, Entrepreneurs, Investors, and Business Owners share their genius onscreen. Runa specializes in the emerging leadership trends and evolving leaders’ relationship to power -- TRUE Power!